After the intensive energy from last week, this week will be a welcomed relief. So, take a deep breath and just breathe and enjoy it. The big news this week is that the Sun moves out of Aries and into earthy Taurus. Astrologically speaking, we fly down from the heavenly world of potential and possibilities and land firmly on the earth and we enter the world of reality. Taurus is about the here and now. The past is dead and cannot be influenced and the future is not important as long as everything remains unchanged and reliable. In fact, during Taurus season, it’s productive to concentrate on the moment and focusing on what you can influence in the now. The sign of the bull ushers in a cycle of focusing on things you can personally grow, like your bank account, a flower garden, or your investments. It’s also an auspicious time to set realistic goals that you can accomplish in a short period of time. This year, the Taurean Sun lands in the 10th house of the world chart. The 10th house is associated with our careers, but on a more mundane level, you could say the 10th house is about all the adjectives and labels in our lives, such as being a doctor, an astrologer, a parent, the head of the PTA, or a good person. In the world chart, the Sun forms a conjunction to disruptive Uranus, so this Taurus season is about changing the labels we associate with that are no longer working and associating with something new that represents who we are now. Taurus is very resistant to change, but the more you fight Uranus the more disruptive change can be. Take a deep look at your associations over the next month and let go of the ones that no longer have value, which may require a leap of faith, but fosters productive growth of your most important commodity – yourself. 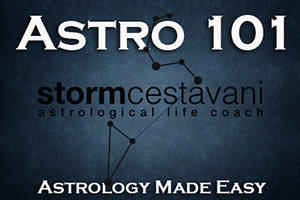 This entry was posted in astrology and tagged aries season, Cosmic Weather Forecast, horoscopes, Mercury in Aries, Storm Cestavani, Sun in Taurus, Taurus Season, Venus in Aries, Venus square Jupiter, Zodiac on April 14, 2019 by Storm Cestavani.